Dr. Marta Strembitsky has practiced cosmetic and restorative dentistry in Mechanicsburg, OH since 2015. During her time with us, Dr. Strembitsky has earned a reputation as a extremely skilled clinician with compassion and a personality that makes her patients love her. Her talents have helped our patients’ smiles shine time after time. Dr. Strembitsky is a native of northeastern Ohio, growing up outside of Cleveland. She graduated from The Ohio State University, earning both her undergraduate degree and Doctorate of Dentistry. To this day, she remains a big Buckeye fan. Dr. Strembitsky also enjoys playing tennis and spending time with her family and friends. Professionally, Dr. Strembitsky always is pushing herself to advance her skills and knowledge so that she can better help our patients achieve their goals in the most conservative manner possible. 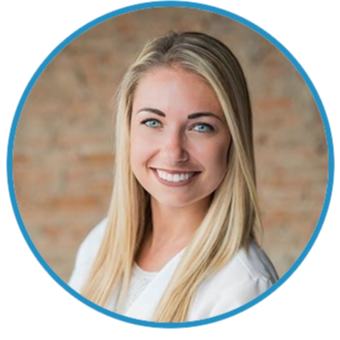 She currently maintains membership in the ADA, ODA, Mad River Valley Dental Society, Capital City Dental Forum, and the National Sleep Foundation. She also has completed extensive training in Botox, fillers and treatment for oral facial pain. One of her passions within dentistry is improving the health and wellbeing of our patients. She has studied sleep apnea and has the knowledge to screen for sleep apnea which affects almost 40 million people in the US with only 4 million diagnosed. She’s also trained to treat many cases of sleep apnea with an oral appliance helping many patients avoid the need to use a cpap. Dr. Strembitsky prides herself on peer collaboration. When a patient’s case is unique to our office, she reaches out to practitioners in different specialties to create the perfect solution. We truly appreciate her dedication to bringing the latest dental treatments to our area. While Dr. Strembitsky’s technical expertise is impressive, what we believe makes her special is her ability to connect with patients. She loves the relationships that result from her work as a small town dentist.